It can be overwhelming choosing between painting contractors: New Jersey doesn't have a lack of painting help. But not all painters are created equal. 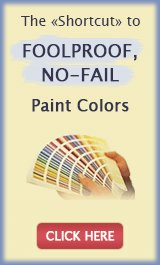 Unfortunately, because of the nature of the house painting industry, almost anyone can call himself a professional home painter. In fact, that is the main reason why New Jersey house painters have such a bad reputation among homeowners, and no wonder. After all, what good can be expected from a guy who has no trade training or experience, no proper tools or equipment, no knowledge of products and materials, no capital to complete the project right and on time, and pretty often, no integrity? Incompetent New Jersey painting contractors harm everyone. They produce sub-par work and waste your time and money. Some may not even finish the work at all and just disappear with your down payment. And since most of them are uninsured, things can turn pretty ugly if your property gets damaged or one of the workers falls from a ladder and gets injured. But the good news is that both good and bad NJ painting contractors leave clues. And those clues are so obvious, that once you start looking for them, you'll be able to tell if a contractor is worth your time (and money) right away. So if you are tired of wasting your time and money, if you are willing to learn from your bad experience, and if you are ready to find a NJ painting contractor who will actually make your life easier instead of creating more problems, you are in the right place. The helpful guides below will show you how to finally find and hire a contractor you'll be happy with. 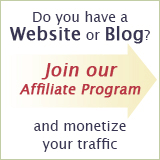 From lead generation sites to bandit road signs to newspaper ads all the way down to Craigslist.com - don't expect to find anyone decent in these places. You'll have more luck if you look here: painting trucks with proper signage, direct mail advertising, company websites, jobsite signs, paint store recommendations and word of mouth referrals. Some painting companies are better equipped to service bridges, water towers and similar industrial structures. Others do their best work in hotels and casinos. Still others prefer to take on only new construction jobs. And then there are painting companies that shine in the residential sector, working directly with homeowners. See why it's important to hire the right type of painter for the job. Before you even consider hiring a contractor, see if he passes this well thought-out and thorough test - it will help you notice some things you might otherwise overlook and spot any early problem signs. This simple checklist will make it easy to see who is the real professional committed to his trade, and who is just a fly-by-night moonlighter. Print it out and use it when you interview different house painters for your project. 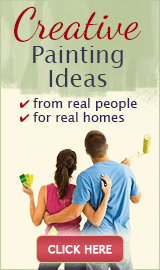 What do you know about the people you are letting inside your home for painting? Can you trust them to be around your children and your valuable possessions? Learn how to do a proper contractor background check for your peace of mind. Want to know why painting quotes vary so much? The answer is, because in house painting, just like in life in general, you can only pick any 2 of the following service options: good, fast or cheap - but you can never have all three! In order to compare "apples to apples" when it comes to painting quotes, you first need to learn how to understand what goes into a quote. So here are 3 simple steps for choosing the best value for your money. Some people are very good with their hands and can do a great job even without prior training or experience. Others just create more problems and expenses for themselves when they attempt to paint their house on their own. It matters who does the work - see these examples.